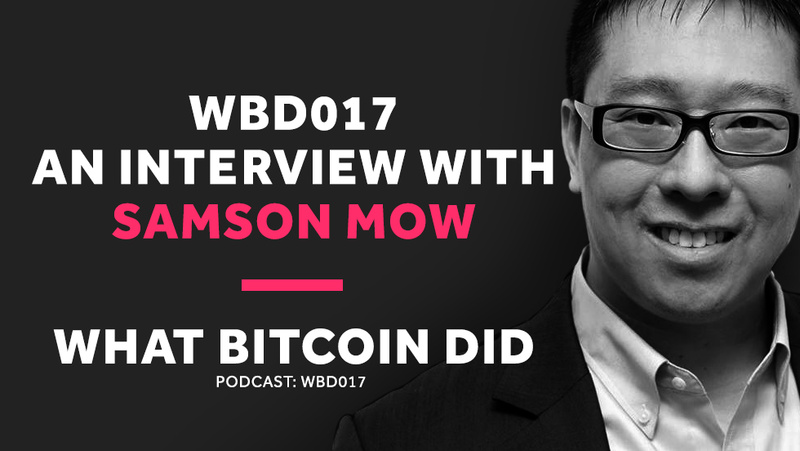 Having met with Roger Ver, I wanted to discuss this with someone from the small block side, and Samson Mow, Chief Strategy Officer at Blockstream, agreed to meet me before the Consensus conference in New York. One topic I avoided discussing was the collusion between Core and Blockstream, firstly, from what I can see, any accusation is circumstantial, and secondly, Samson has already answered this, and I suspect, would answer it the same. What I wanted to do was understand the incentives for Blockstream and look further into the role of Lightning Network in the scaling of Bitcoin. I think it is difficult to deny that for Bitcoin to scale to support millions of users globally, second layer technologies are required, even Roger ver agrees, but at what cost? What I struggle with is the relationship between Lightning Network and the main chain. I struggle with the fee market on the main chain and how users around the world might one day be priced out of using it, and thus, not available to have the opportunity to core Bitcoin features such as cold storage. I don't like tiered security features based on wealth, especially as we are always advised to protect our private keys with our lives. Maybe this will be solved in the future, and maybe this is the way the free market must work. I don't have the answer but is something Samson, and I discuss in detail, and you will be able to hear my frustrations with this. Small blocks undoubtedly suit Blockstream's business model but are they building a business on top of the right scaling solution or are they pushing a scaling solution which suits their interest. I don't buy the conspiracy but understand why bitter big blockers are suspicious.